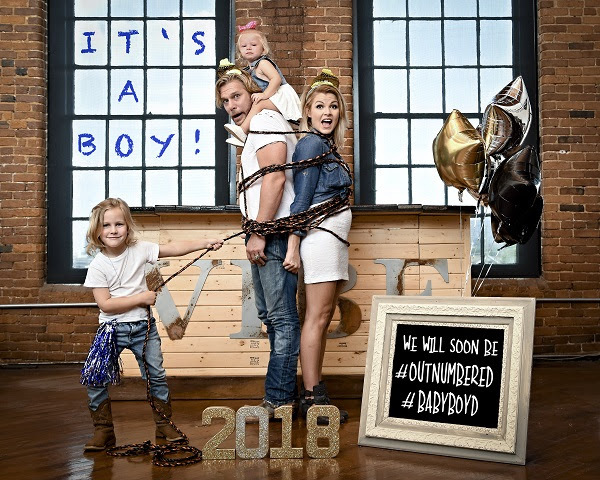 NASHVILLE, Tenn. – Craig Wayne Boyd, the powerful country vocalist who Billboard recently profiled as a ‘new country act to watch in 2017,’ announced he’s adding another ‘voice’ to his family with the addition of a baby boy on the way and a new album Top Shelf (available Oct. 27). In an exclusive interview with People.com, Boyd beamed, "Taylor and I are thrilled about the arrival of our new #BabyBoyd! We're so blessed. I think my son is more excited that it's not another sister! It'll be a busy fall/winter as we're also preparing to release new music!" Boyd’s new son, due in January, will join big sister Dakota Lynne, 18 months, and Jaxon, who is 5-years-old. A native of Mesquite, Texas, Craig Wayne Boyd came to the attention of America as the winner of Season 7 of the NBC hit “The Voice.” During his run on the show, Craig hit the charts with his versions of classics such as “I Walk The Line,” “You Look So Good In Love,” and the Merle Haggard classic “Workin’ Man Blues.” His post-“Voice” career kicked off with a bang with the release of “My Baby’s Got A Smile On Her Face,” which topped the Billboard Hot Country Songs chart. As a songwriter, Craig spent three years as a staff writer for EMI Publishing. For more information on Craig Wayne Boyd, visit CraigWayneBoyd.com or follow him on Facebook, Twitter and Instagram.